The US government yesterday charged Chinese wind-turbine company, Sinovel Wind Group Co and three people of stealing trade secrets from US supplier AMSC. In a grand jury indictment, the US Department of Justice (DoJ) charged Sinovel, its deputy director of R&D Su Liying, technology manager Zhao Haichun, and a former employee of AMSC’s Austrian subsidiary, Dejan Karabasevic, of stealing proprietary software and technical details belonging to AMSC. Formerly known as American Superconductor Corp, since 2006 Boston-based AMSC has been supplying core components, software that controls the productivity and quality of wind power in turbines, and licensing of turbine designs to Sinovel, the world’s second-biggest wind turbine manufacturer. 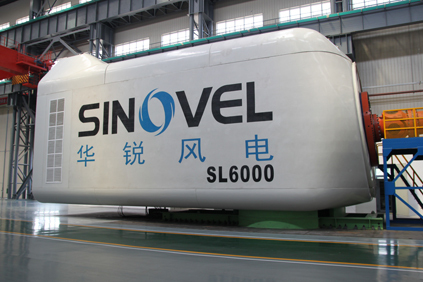 AMSC had alleged that Sinovel illegally obtained and used its intellectual property to upgrade its 1.5 MW wind turbines in the field to meet proposed Chinese grid codes and to potentially allow for the use of core electrical components from other manufacturers. AMSC became suspicious in April 2011 when Sinovel rejected a large shipment of control components and later drastically reduced its business with AMSC. Until May 2011, nearly 80 per cent of AMSC’s revenue came from Sinovel. AMSC says it later discovered that a disgruntled employee, Dejan Karabasevic, who was employed at its Austrian subsidiary and had access to its heavily encrypted software code, had sold its software source code to Sinovel, through Su Liying and Zhao Haichun for a promised $20,000 and a 6-year $1.7 million employment contract. After receiving on the codes, Sinovel reneged on its promise to Karabasevic, paying him only $20,000 but without employing him. This theft enabled Sinovel to upgrade the control system of its wind turbines with a new program that AMSC had developed to meet new grid standards proposed in China and also commissioned several wind turbines in Massachusetts with the software stolen from AMSC. The DoJ has charged the four defendants of stealing the source code from AMSC and transmitting it by downloading it from an AMSC computer in Wisconsin to a computer in Klagenfurt in Austria. According to the indictment, Sinovel owed AMSC more than $100 million for products and services previously delivered and had entered into contracts to purchase more than $700 million in products and services from AMSC in the future, causing an alleged loss of more than $800 million to the company. AMSC has separately filed four cases against Sinovel in China seeking $1.2 billion in damages for alleged intellectual property theft. Arrested in Austria in 2011, Karabasevic pleaded guilty to corporate espionage charges and was sentenced to a year in jail and two years of probation.